100 Years in America: A is for Assembly: "The angels were singing"
A is for Assembly: "The angels were singing"
A is for Assembly: Those present to celebrate the liturgy; the community, the Church (as in people, not building), the worshippers, the faithful, the congregation. 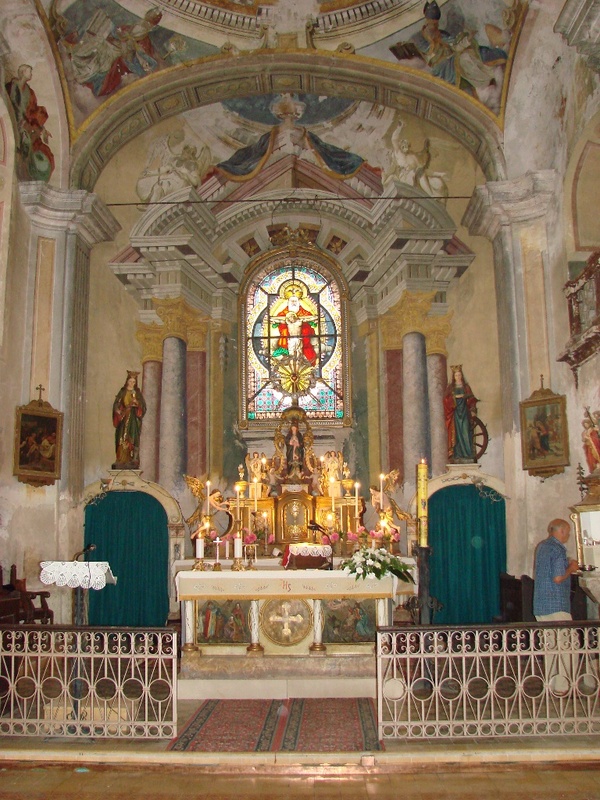 It is hard to remember when I first saw the photos of my great-grandmother's village church in what is now Legrad, Croatia. My heart was drawn to the place immediately. I had known and loved my great-grandmother while she was in her 90s. Yet here was a picture of her childhood Catholic church helping me to imagine her there as a baby being baptized, a young girl receiving her First Communion, a young bride at her wedding. 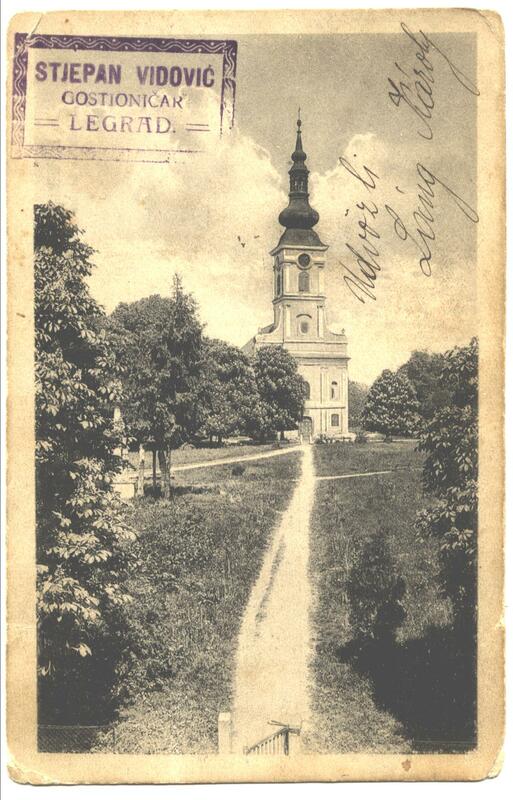 Later, I learned more about this little church - including its name (the Holy Trinity Catholic Church, called Župa Presvetog Trojstva in Croatian) and more about its three-hundred year history. I was also privileged to receive modern photographs of the building from a current parishioner (a distant cousin) and thrilled to find sacramental records for many special family milestones that occurred there. "When I was but a girl, three or four years old, I'd go with my mother to Sunday Mass. I used to love that dinner Mass (that is what we called it, probably because we'd all go home to dinner afterward); they sang so nicely there. I'd listen to the sermon about angels on high somewhere in Heaven who had wings; they were good, they watched over children and grownups when they crossed the narrow wooden bridges scattered everywhere in our neighborhood spanning the Drava streams. "I have to describe for you, first, the inside of our church and the order in which the people stood and sat when attending these dinner Masses. On the left - the older women sat in the first row of pews and in front of them stood the girls from 10 to 14. Behind the pews stood bareheaded younger girls; then there were six rows of pews and behind them a great space. Here stood younger women with small children. The darker part of the church under the gallery was where men and women from other villages would stand. To the right of the church doorway was the same order of pews but on this side sat the men. 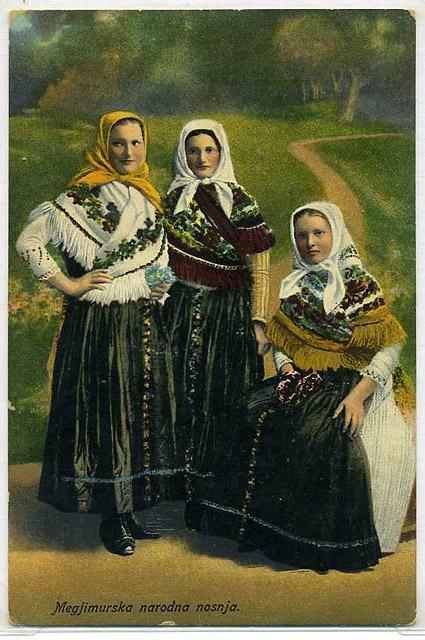 Young Medimurska Croatian girls (Legrad region) in traditional folk costume, 1915. Legrad children's author Marija Bango was born in 1917. "The church was always crowded. When women were standing around me I'd feel as if I were at the bottom of a hole; I could hear the singing high up above swelling to the church ceiling. From time to time everyone would kneel. That was the moment when we children could finally see something. I would stand up on my tiptoes. I'd quickly examine everything: around me were countless heads. Something was gleaming at the front of the church. Behind me in the great gallery I could see nothing but hair. Since that was where the pretty singing came from I felt certain that the angels were singing." "I loved to go into the church whenever I saw the door open. On my way to school in the morning before I turned left at the park toward the school house I'd look over toward the back door of the church to see if it was open and if it was I'd walk straight toward it, leaving my schoolward path behind me. I'd have time to stop in at morning Mass and still arrive punctually at school." This little girl is probably much like my great-grandmother was as a child in Legrad. Though she left her homeland as a young bride, she kept a strong faith and found herself at home at other Catholic churches in America, helping to inspire the faith of many of her descendants, including me. 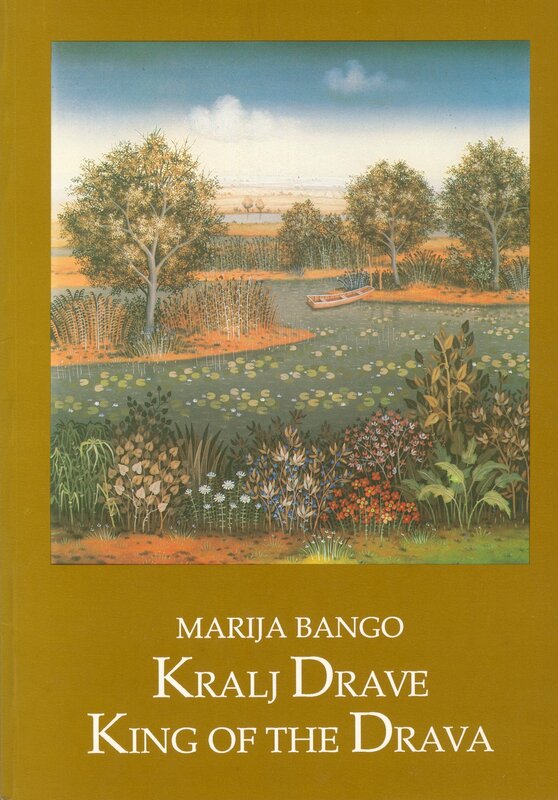 Marija Bango's second book of children's stories (pripovijetke djecu) about her native Legrad was published in 1993. The text is in both Croatian and English. This article was written in response to the "Family History Through the Alphabet Challenge" suggested by Australia's Gould Genealogy and History News blog. Follow me here at 100 Years in America as I try to keep up with the challenge to work through the alphabet while writing my family history. I'm way behind getting started, but here goes! 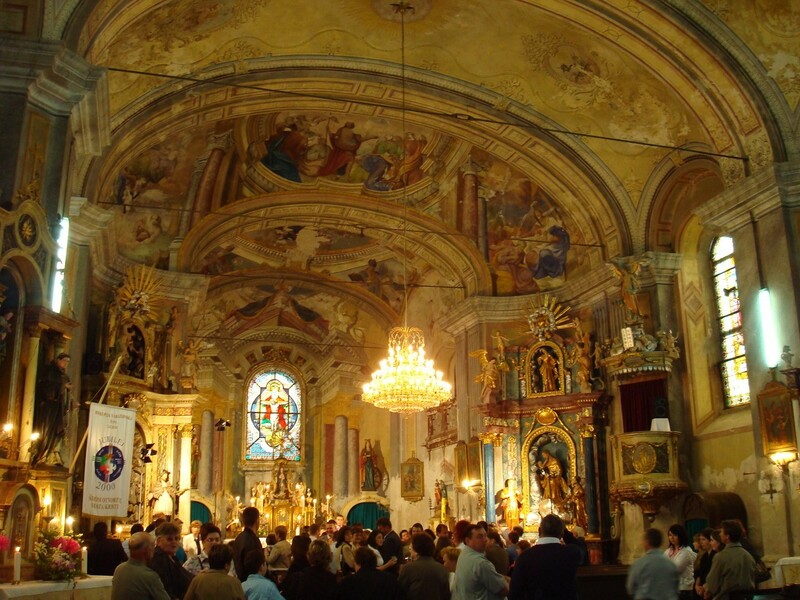 That is certainly a beautiful church, and no doubt would have left deep impressions on your great grandmother, just as it did for Marija Bango. Have you been there yourself?